Born John Soursby Glover Jr., on the 7th August 1944 in Salisbury, Maryland USA, he is a Primetime Emmy Award-nominated actor, best known to the world for portraying mostly villainous characters, such as Lionel Luthor in the TV series “Smallville” (2001-2011), as Phil in the film “Payback” (1999), and also as the voice of The Riddler in animations based on the “Batman” franchise. 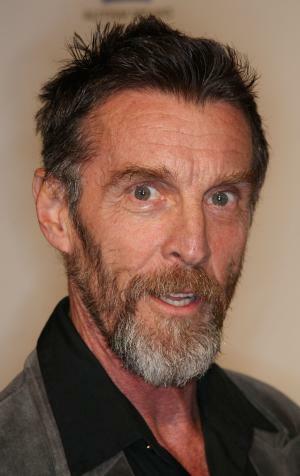 Have you ever wondered how rich John Glover is, as of late 2017? According to authoritative sources, it has been estimated that Glover’s wealth is as high as $5 million, an amount earned through his successful career, which has been active since the early ‘60s. John is the son of John Soursby Glover, Sr., a television salesman, and his wife Cade. He went to Wicomico High School, and after matriculation enrolled at Towson University, where he studied acting. After that, he launched his career by joining the Barter Theatre in Abington, Virginia, and then furthered his acting studies at the Beverly Hills Playhouse, being mentored by Milton Katselas. After several off-Broadway appearances, John was cast in “The Great God Brown” in 1972, and since then has appeared in numerous Broadway plays, including “Don Juan” (1972), “Love! Valour! Compassion!” (1994), for which he won the Tony Award for Featured Actor in a Play, then “The Drowsy Chaperone” (2006), and most recently “The Cherry Orchard” (2016), all of which added a significant amount to his wealth. After a successful start in theatre, John decided to showcase his talents on screen, and debuted in the film “Shamus” in 1973, and then had minor roles in Woody Allen’s film “Annie Hall”, and in Fred Zinnemann’s Academy Award-winning drama “Julia” the same year, next to Jane Fonda, Vanessa Redgrave and Jason Robards. He finished the ‘70s with a supporting role in the romantic thriller “Last Embrace” (1979), starring Roy Scheider and Janet Margolin. John appeared in several films in the ‘80s, highlighted by portraying Richard Behrens in the TV miniseries “Nutcracker: Money, Madness & Murder” (1987), for which he received Primetime Emmy Award- nomination, while in 1988, he was cast in a supporting role next to Bill Murray, Karen Allen, and John Forsythe in the comedy fantasy “Scrooged”. The next decade was one of his best in his career, appearing in a number of films that became both commercial and critical successes, which only increased his wealth. He started the decade with the role of Daniel Clamp in the sequel of Chris Columbus’ written “Gremlins” from 1984, entitled “Gremlins 2: The New Batch”, both directed by Joe Dante, and then played Magnavolt Salesman in “RoboCop 2”, which grossed over $40 million at box office, then portrayed A.J. Pattle in the horror comedy “Ed and His Dead Mother” (1993), next to Eric Christmas, and Steve Buscemi. The following year he appeared in John Carpenter’s fantasy horror “In the Mouth of Madness”, playing Saperstein, then three years later Joel Schumacher used John’s talents again, this time for the film “Batman & Robin”, in which he portrayed Dr. Jason Woodrue; the film provoked negative reviews from fans, but still collected several prestigious awards and honors. From 1998 until 1999 he had a double role of The Devil and Angel in the TV series “Brimstone”, and finished the decade with another successful endeavor, the action crime drama film “Payback” (1999), with Mel Gibson, Gregg Henry and Maria Bello as the lead stars of the film. In the early 2000s, he was chosen for the role of Lionel Luthor in the highly acclaimed TV fantasy drama series “Smallville” (2001-2011), appearing in more than 140 episodes and receiving three Saturn Award- nominations, but what is more important, his net worth increased to a large degree. He meantime appeared in several B production films, but made a remembered appearance as Samson Gray in the TV fantasy series “Heroes” in 2009. Following the end of “Smallville”, John starred in the horror “Sanitarium” (2013), and three years later again featured in the horror “We Go On”. Most recently, he has been working on films “The Extraordinary Farewell”, which is in pre-production, and “The Lost Wife of Robert Durst”, which is scheduled for 2018. Aside from acting, John is known for his voiceover work; he has narrated a number of books, including “Ghost Story” (2011), which is a part of Jim Butcher’s novel series “The Dresden Files”. Regarding his personal life, John is openly gay, however, there are no details about any relationships. 1 I think the reason I'm an actor is the joy I find from escaping and going to be somebody else. That's what I have fun doing. 2 I had a big part of my life in the theater in Philadelphia. Philadelphia's changed, but I love it. 3 I would like to be able to be both a film actor and a stage actor - to be an American actor in the style of a lot the English actors who do films. They are these wonderful actors who can do everything. 1 He was awarded the 1987 Los Angeles Drama Critics Circle Award for Distinguished Lead Performance for "The Traveler" at the Mark Taper Forum Theatre in Los Angeles, California. 2 He was awarded the 1987 Drama Logue Award for Outstanding Performance for "The Traveler" at the Mark Taper Forum Theatre in Los Angeles, California. 3 In 1977, he played two films that were nominated for the Academy Award for Best Picture: Annie Hall (1977) and Julia (1977). The former won the award. 4 Parents are John Soursby Sr. and Cade Glover. 5 Attended and graduated from Wicomico High School in Saliabury, Maryland. 6 Aside from his theatrical endeavours, he is actively involved with the Alzheimer's Association. 7 His character in Gremlins 2: The New Batch (1990) was originally written as a corrupt, deeply unpleasant businessman. Glover, who was getting sick of being cast as villains, instead chose to portray him as an immensely likable and friendly, if eccentric and immature, character. 8 Tom Welling said that his favorite part of season four of Smallville (2001) was working on the episode in which Clark and Lionel switch bodies as it allowed him to work closely with John, whom he greatly admires. 9 Has played the father of two television supervillains. He played Lex Luthor's father on Smallville (2001) and the father of Sylar on Heroes (2006). 10 Close friends with actress Blair Brown. 11 His father, John Soursby Glover Sr., was a television salesman. 12 Made his stage debut in "Look Homeward, Angel" at the Barter Theater in Virginia in 1963. 13 Moved to New York City in 1967. 14 Made Broadway debut in "The Selling of the President" in 1972. 15 Nominated for the 2009 Tony Award for Best Performance for a Featured Actor in a Play for "Waiting for Godot". 16 Nominated for at 2009 Tony Award for Best Performance by a Featured Actor in a Play for playing Lucky in "Waiting for Godot" by Samuel Beckett at Studio 54. 17 He splits time between Los Angeles, California and Vancouver, British Columbia, where the WB Television series Smallville (2001) was filmed. 18 For three college summers, he worked at a small theater in southwestern Virginia. 19 For his role as an assassin in NBC's Grass Roots (1992) he spent four hours daily in the make-up chair. 20 Since the mid-1990s, his companion has been sculptor Adam Kurtzman. 21 Won Broadway's 1995 Tony Award as Best Actor (Featured Role - Play) for the dual roles of John Jeckyll and James Jeckyll in Terence McNally's "Love! Valour! Compassion! ", parts he recreated in the film version of the same title, Love! Valour! Compassion! (1997). 22 Visits his alma mater Towson University in Maryland regularly to work with drama students in the Fine Arts College. 23 Studied acting with Milton Katselas at the Beverly Hills Playhouse. 24 Has been in three separate productions associated with DC comics. First as the Riddler on Batman: The Animated Series (1992), Dr. Jason Woodrue in Batman & Robin (1997), then as Lionel Luthor on Smallville (2001). 25 Attended and graduated from Towson State Teacher's College (now Towson University). He later received an honorary Master's degree. Walk Hard: The Dewey Cox Story 2007 writer: "You Don't Have to Be a Star To Be in My Show"